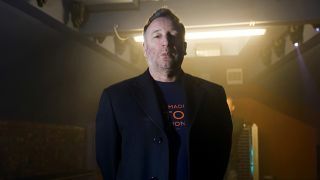 “Hooky by name, hooky by nature.” This is the self-assessment issued to Louder by Peter Hook, and it’s difficult to deny he makes a good point. As co-founder and bedrock of post-punk trailblazers Joy Division, Hook helped to provide an essential template for the nascent movement. When their frontman Ian Curtis sadly passed away in 1980, Joy Division’s remaining members melded their indie sound with the emerging club scene to create the equally influential New Order. Hook’s low slung, melodic bass style inspired countless others, with New Order carving out a sound which would become embedded in British pop music’s DNA. Now in his new outfit Peter Hook And The Light, he is revisiting the back catalogue of both bands. Here, he talks us through his favourite Joy Division and New Order basslines. Peter Hook And The Light have a number of new live albums available now.